Every morning on Bellary Road, a skinny, sad-looking dog Inflatable bounce house wanders past the entrance of the Royale Senate hotel, walking toward the neighboring businesses and back. He stops only to scratch his hindquarters. His fur long ago succumbed to mange, and his bare skin outlines his jutting ribs. He clearly knows better than to approach the hotel’s open door, where a guard stands watch next to a pile of rocks ready to be picked up and hurled. Similar scenes happen in almost every corner of Bangalore, where over 400,000 stray dogs wander aimlessly around the streets. Indian street dogs struggle daily to get food, survive the chaotic traffic and coexist with humans in a society where fear of dog bites and fear of rabies are strong. The city government provides no direct animal control services. It oversees nongovernmental organizations dedicated to animal welfare that have taken the initiative to help the dogs. “Hopefully, we’ll make some kind of difference in the whole thing,” said Vani Shankar, a volunteer at Sarvodaya Sevabhavi Samstha, a nongovernmental group dedicated to the protection and care of animals. Stray dogs sleep in parks, on sidewalks or inside storm drains. They feed themselves from the piles of garbage found throughout the city. Nourished by their scavenging, they breed during the rainy season, which runs from June to August. “We need to get rid of the garbage first, and automatically the dog menace will come down,” Shankar said. And with so many strays, concerns regarding the safety of Bangaloreans have been raised. 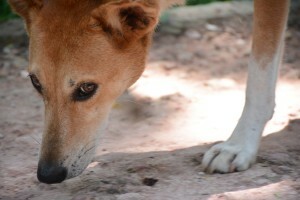 And although the BBMP has not done much, The Bangalore Mirror recently reported that with about 15,000 cases of dog bites reported every year, the city will soon start compensating victims of stray dog bites at a rate of 2,000 rupees, or about $32, per puncture wound. Immediately after an attack, the victim must file a report with the BBMP, including any relevant documents and photographs. The victim receives free anti-rabies vaccines, and if necessary, a medical team will transport the victim to the nearest hospital. 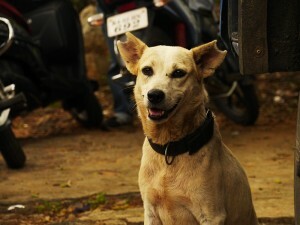 The stray dog situation has created an intense public debate in Bangalore. Local organizations such as Sarvodaya, Compassion Unlimited Plus Action and The Voice of Stray Dogs have implemented animal birth control programs in their centers to help keep the street dogs from reproducing. Dr. Akshay Prakash, a veterinarian who works with Sarvodaya Sevabhavi Samstha, explained that street dogs are captured, vaccinated against rabies and then surgically neutered in a 10- to 15-minute procedure. After a brief recovery period, the dogs are released at the same place where they were caught with their ears notched to identify them as sterilized. There is a very low risk for the animals in this surgery. “One out of a thousand dogs will die,” Prakash said. Despite the efforts of these organizations, the stray dogs population still represents a big social problem for many. “Sterilization helps calm down the dogs,” Mahbubani said. But this is true only for sexual and maternal aggression and does nothing to control aggressive behavior prompted by fear, hunger and territorial instincts. This entry was posted in Out and About, Videos and tagged Bangalore, BBMP, Diana Lopez, JWWIndia, stray dogs. Bookmark the permalink. Children should be educated on how to deal with dogs and stop secraming an running like mad, which obviously provokes a hunt from the dog. Same thing for adults who are ridiculously scared and react to the approach of a dog as badly as possible. Time to learn how to live with what surrounds us instead of killing and destroying! Time to stop breeding labradors, pugs, German sheperds, and so on.Stray dogs are stronger, much more clever, and loyal that all those breeds. Having a husky or a St Bernard in Bangalore is the height of stupidity.that nuveau rich are familiar with. I dont agree with garbages as main sources of breeding more dogs. This means that dogs needs to be sarved and be malnutrition to reduce number of puppies getting birth. After ABC is implemented in various part of city, still we find many lectating dogs. My personal observation is that there are many poor people having home breeding and selling puppies to earn few hundreds rupees. In such these home breeders does not care much on dog and many mongrians are produces and throw away/abandoned them. This backyard breeding includes people who own expensive pet dogs and not sterlising them. The govt./BBMP/Animal Husbandry must come up with strict control by demanding breeding license, ban breeding business by pet shops, keep a track on private home breeders and some kind of documentation on pet owners.